I couldn`t help thinking back to Akira Kurosowa`s Ikiru (1952) as Dasvidaniya unfolded. One just can't help feeling that a film with a message as deeply important to every living person as this one could have attempted to be a little more imaginative. 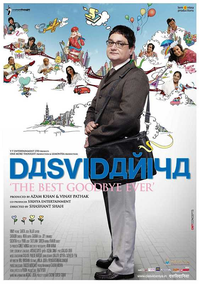 What works for Dasvidaniya is its very simple script executed skillfully by first time director Shashant Shah.